Here are a few ways that workers compensation benefits really do treat your employee’s right when they’re injured on the job. Employees who are unable to work due to injuries received on the job will be able to recover some of their lost wages to help cover living expenses during the healing process. This leaves employees free to focus on their recovery so they can return to work for you sooner rather than later. Medical expenses that are related to the injury are covered under workers’ compensation. This includes office visits with doctors, surgeries, prescription medications, and more. The last thing your employee needs to worry about while going through the healing process is how to pay for it all. This takes that burden off your employees’ shoulders. Vocational rehab is often necessary to help employees recover the use of injured limbs or simply to return to previous levels of productivity or to help train for new roles or positions within the company in the event the employee will be able to return to his or her former position. Temporary disability benefits equal up to two-thirds of an employee’s average wages (up to a certain wage ceiling). Permanent or long-term disability resulting from a work-related injury could result in lump-sum payments or long-term benefits. In the event of an employee’s death resulting from an on-the-job injury, workers’ compensation insurance pays benefits to the surviving dependents of the employee. 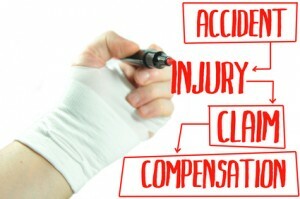 What Kinds of Injuries are Covered by Workers’ Compensation Insurance? Be aware that this insurance coverage, and the disability coverage (if any) that goes along with it, only extends to injuries received or exacerbated on the job. Pre-existing conditions are not covered unless carrying out the specific duties of the job somehow aggravated the injury or worsened the condition. Workers’ compensation also does not cover illnesses and injuries that are unrelated to the employee’s job duties. There are many benefits of good workers’ compensation coverage to employers as well, primarily in the form of decreased downtime for injuries (because employees do get the necessary medical care) and improved employee morale. While it is required by law, it’s also the right thing to do for the people who make your business run. Call us today to discuss your specific workers’ compensation needs.